Online video advertising plays an ever-increasing role in global brands’ marketing strategies. However, most marketers are stuck to YouTube only. And this really makes sense knowing that there are about 300 hours of video uploaded to the platform every minute. But YouTube is not the only game in town. Facebook Video can be a fantastic marketing tool for your business. It can give you immediate access to a large audience garnering over 8 billion daily views. In case you’ve been looking to expand your video presence, it is high time to take the opportunity that Facebook offers . Here are some awesome tips for stocking your marketing kit with Facebook video ads. YouTube is a well known video hosting platform, but videos shared from the platform will hardly capture users’ attention on Facebook. The best way to do is to upload your videos straight to your business page. According to Quintly Facebook native videos perform up to 4 times better than all other video formats. That was just one of the numerous reasons why you should upload directly and here is the next one: video posts get 135% bigger organic reach than photo posts. The view count feature will show you the great difference in views between the videos shared from other video platforms and natively uploaded ones. The stats look even more impressive if to know how hard organic reach is to come by these days. 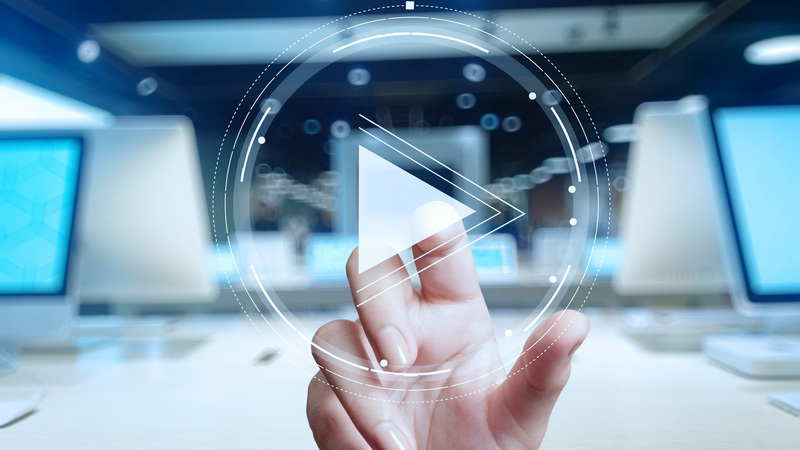 No wonder why video has become a Facebook marketer’s primary tool – that kind of reach and an autoplay feature for native videos make it seem even more appealing. The autoplay feature engages users to videos without even making them click and start it. Sounds difficult but this is what it takes to keep all eyes on your video. How to do it? Use humor, share a funny joke. The point is this to catch audience’s attention in the first 4 seconds of your video. The reality is that you usually lose the majority of your audience within the first 30 seconds or less – a major hurdle for every video marketer. You should maximize the potential of your video showing users something that will keep them from scrolling past your video. Make those 4 seconds count. Facebook has breathed a second life into video in social media: marketers use virtual reality as a tool for advanced brand message communication. Now you can give your audience a more immersive experience and invite them to interact with your brand in new ways. With 360 video, viewers will be able to pan, rotate, and watch the video unfold from any perspective. One of the things your video needs more than views is shares! Сreate a video your fans would love and you will see how fast it can be spread between the people that are on the same page with your message. Create a captivating video and enjoy watching how fast it is shared between your fans and their friends. Done. Now look closely to see how fast the popularity of your page increases. Featured video can do the same! Just upload a featured video in the section About with a thumbnail different from all the others on your page. Keep this trick up your sleeve when promoting a new product or service, or maybe even to tease your upcoming event. You have all the chances to capture viewers’ attention with an intriguing premise. Open up with an issue relevant to your target audience and claim a resolution, or simply open up with a question and let the Zeigarnik effect do its job. Here is an incredibly popular video, getting more and more views. At first glance it seems to be the plainest thing. What is the secret of Candace Payne’s (the video creator) success? This lady started her video with “It’s the simple joys in life…” and over 3 million viewers wanted to know what those simple joys were. So go ahead – intrigue your viewers, set expectations and watch them get hooked until the last second. From a marketing point of view, it is one of the most useful features of Facebook videos. Isn’t getting your viewers to do something the main purpose of your video marketing campaign? Including a call to action (or CTA) to your Facebook page is pretty simple. In fact, the “Add a Call to Action” option will appear by itself as soon as you upload a video. You can also use “Watch More” to send viewers to other videos on your site. Streaming live events is now available with the Facebook Live feature. Moreover, it is even possible to maximize its marketing potential on every stage of the UX. Start preparing your live event a few days earlier to make sure that your audience joins up in real time. A countdown to your Facebook Live date can work out as a good way to build up users’ anticipation. Try a test broadcast and make sure that your audience will see and hear you clearly. Have your guidelines at hand to navigate easily when engaging with the audience during a live broadcast. Provide a comprehensive and attention grabbing information about your live broadcast – this is what makes a great description for the video. CTA and simple “thank you” make up a perfect ending for your live broadcast. You can also initiate your viewers to follow you on Facebook or join you during the next live event. All the ways of editing your video are open to you: you can include a custom thumbnail, improve your description, add a CTA button, choose tags, and so on. Make life a bit easier for your viewer – group your videos based on particular topics. After all, think how frustrating and exhausting it can be to scroll through numerous videos in search of a particular one. Let’s face it: very few users will actually go through the struggle. That’s why playlists can be such a life saver. Your content marketing strategy should be targeted towards getting organic reach on your Facebook video. Boosting your video with an ad will help you find your way in the heaps of video uploaded to Facebook every day, amounting to about 100 million hours. Users that fit your target profile will see your sponsored video post on their timeline, even if they are not a part of your network. Best of all, you have the ability to target your audience based on their location, age, interests, etc. It only takes a few new viewers to let your video spread all over the social network under the condition that you have great content, of course. Thumbnails get your viewers’ attention first and only after that – the video itself. So it is vitally important for your video to have a great customized thumbnail. Just make your fans want to click on it. Data-driven decisions will guide you to success in social media. Apply the same theory to video marketing. Use Facebook Insights to get the metrics you need to assess audience engagement. There you can find a lot of info that will help you to do it: numbers of views, their duration, and completion rates of each video. Isn’t it enough to push you to improving your videos and/or following up on a campaign that works? This is especially important when you livestream, as it can show you what type of events or live videos your audience enjoys. It is vital to work hard on including Facebook to and making the best of it in your video content marketing strategy? The social network has a lot in stock, making the choice obvious. It is no secret why Facebook is such a lucrative platform: it has targeting features that are unparalleled in social media advertising. Facebook Live Video is a weapon that you can use to make a success of your video marketing campaign, so get armed and don’t miss out a chance to get your audience engaged.